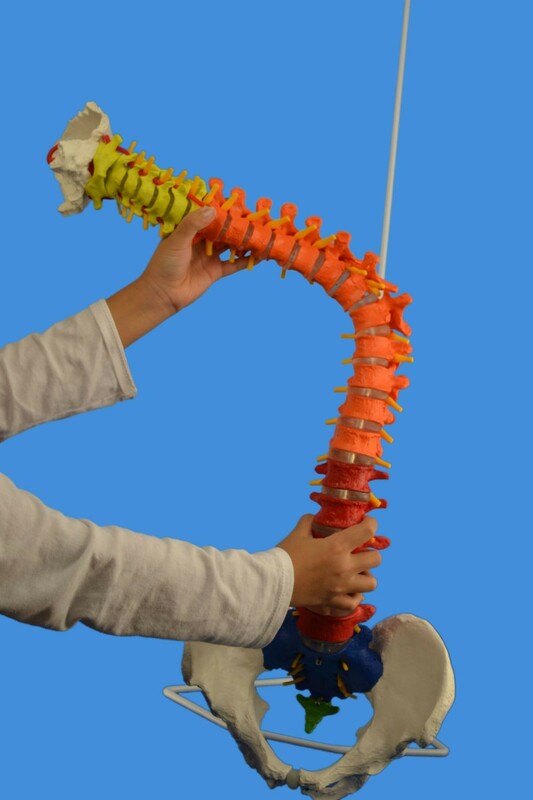 Didactic colored super flexible bendy life size spine model. Once bent, spine will remain in that position, to show correct and incorrect postures as well as any pathological malalignments. It has color-coded regions for ease of learning. It is the best spine model to meet your needs! Natural cast original size, this life size spinal model consists super flexible vertebral column, occipital plate, cervical, thoracic and lumbar vertebrae, the full pelvis, and sacrum coccyx. Additional features include representations of: the vertebral arteries, spinal nerve exits and a prolapsed L3-L4 intervertebral disc. It is an ideal tool for active and hands on use, such as in schools or in a doctor’s office for patient education, of extremely good value and durability.